Originally posted: September 19, 2018 . Last modified: January 30, 2019 . 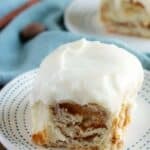 Pumpkin pie cinnamon rolls are delicious seasonal treat. They’re loaded with a sweet pumpkin-infused filling and topped with a luscious maple frosting! I’ll be honest, Kim and I aren’t really fans of Halloween. Now, if you are, then enjoy yourself and that special time of the year. In the meantime, you can count of us to share pumpkin and Fall related recipes without a heavy Halloween theme. 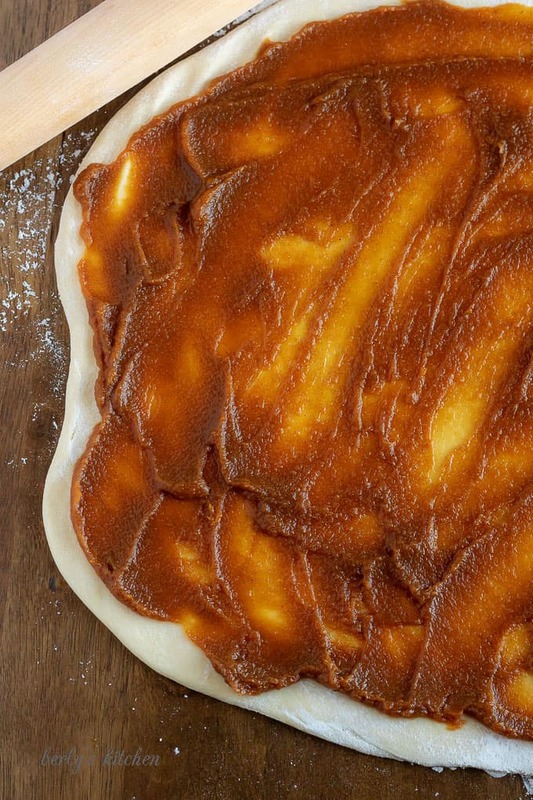 For example, take a look at our pumpkin pie cinnamon rolls. They’re a seasonal breakfast treat for fans of pumpkin flavored dishes. While they might seem complicated, the rolls are actually fairly simple to prepare. With that being said, you need to make sure you have the time to make them before getting started. They take about 3 1/2 to 4 hours from start to finish. 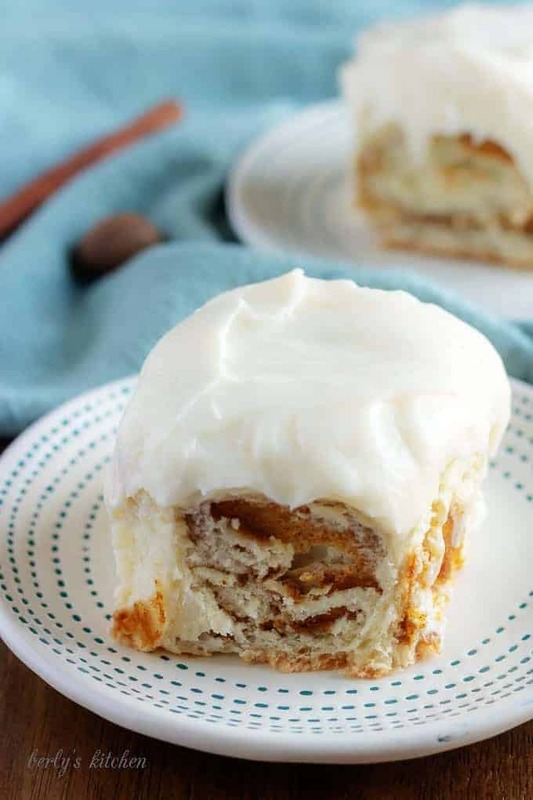 However, the pumpkin pie cinnamon rolls use our popular easy cinnamon roll recipe for a base. That means you could prep the rolls the night before and pop them into the oven the next day. So, feel free to break this recipe down to a 2-day process. Also, I will provide some extra tips below to help you out. How about we get started? First and foremost, go ahead an pull out your butter and cream cheese so they have time to soften while you go through the steps. 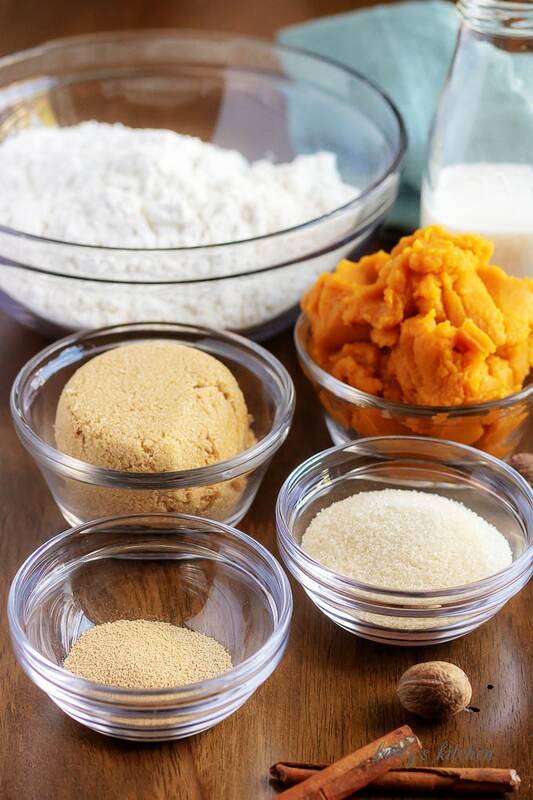 First, in the bowl of a stand mixer, mix the flour, sugar, salt, and yeast until well combined. I would recommend starting with less flour and add more as needed. Next, use a separate microwave-safe bowl to heat the water, milk, and butter until just warm (about 110-115 degrees). You can then add the liquid to the dry ingredients along with the egg. Then, using the dough hook, continue to mix the ingredients on low until a smooth, elastic dough forms. If the dough is sticky or tacky, add additional flour ¼ cup at a time until it pulls away from the sides of the bowl. Continue mixing for 5-6 minutes. Last, remove the dough from the bowl and place it onto a well-floured surface. Use a rolling pin to roll the dough into a rectangle approximately 16 inches wide to 10 inches long. Start by combining all the filling ingredients in a medium bowl, and stir everything together. Now, use a spoon or spatula to spread the filling onto the rectangular dough. Afterwards, beginning with the long side of the rectangle, tightly roll the dough, so the pumpkin filling is on the inside. Then, cut the rolled dough into 12 even-sized pieces. Next, place the cinnamon rolls into a greased 9 x 13-inch baking dish. After that, cover the rolls with a towel and put them in a warm, draft-free place and allow them to rise. 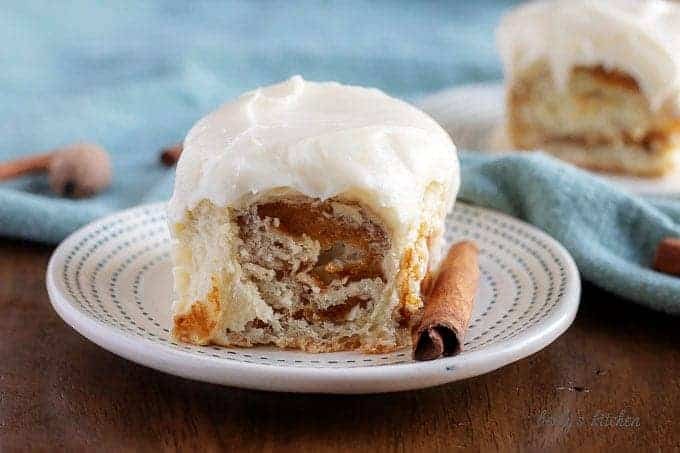 While the pumpkin cinnamon rolls rest, preheat you oven to 350 degrees F.
Once the rolls have risen, place them in the oven to bake for 25 minutes or until golden brown. Last, remove the pumpkin pie cinnamon rolls from the oven and let them cool completely before frosting (at least 30 minutes). First, use a hand or stand mixer to combine cream cheese, powdered sugar, butter, vanilla extract, maple extract, and milk. Begin by using 1 tablespoon of milk at a time until desired thickness is reached. Next, pour the frosting over cooled cinnamon rolls and use a butter knife or spatula to spread it out evenly. Finally, you can store cinnamon rolls in the refrigerator for 3-4 days. Sometimes the yeast won’t activate after being added to the dry ingredients. If you have this concern then here’s an alternate method. Start by heating the milk and water as directed but leave out the butter. Next, stir in the sugar and yeast and allow the yeast to get foamy and tan in color. Then, add it to the flour, salt, butter, and egg mixture. Yeast can be troublesome, so check out this resource, it might help you out. Another challenge you might encounter while making the dough involves the flour. Try following our directions and start by using less flour and only adding more if needed. Depending upon where you live, your environment, altitude, and current weather will affect this recipe. Kim has used anywhere from 2 ½ cups to a little over 3 cups of flour based on those variables . Be sure to look at this link about high altitude baking. Please do not over mix your dough. When the dough is over-mixed it can become dense and tough. The same thing can happen if you add too much flour. The dough should have some elasticity and look smooth. My final tip is concerning the filling. 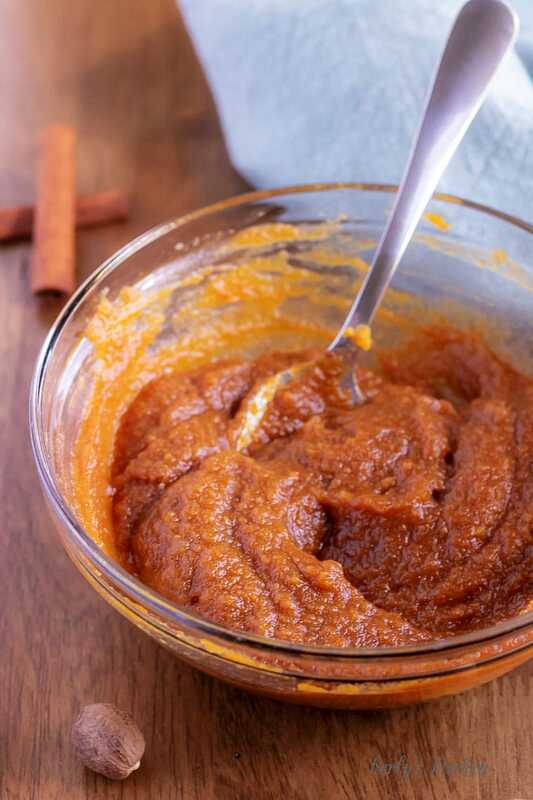 A pumpkin pie cinnamon roll filling can be changed to fit your flavor profile. In other words, taste it and adjust it before you put spread it on the uncooked dough. Maybe you want it sweeter or with more pumpkin. Experiment with it and change it as needed. Personally, I love a kick of ginger with my pumpkin, but some people don’t, so make it the way you want it to taste. Looking for more pumpkin themed recipes? 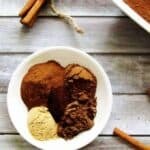 Then take a look at these tasty treats: Easy Pumpkin Dip, Pumpkin Spice Spiked Hot Chocolate, or our Easy Pumpkin Pie Recipe! 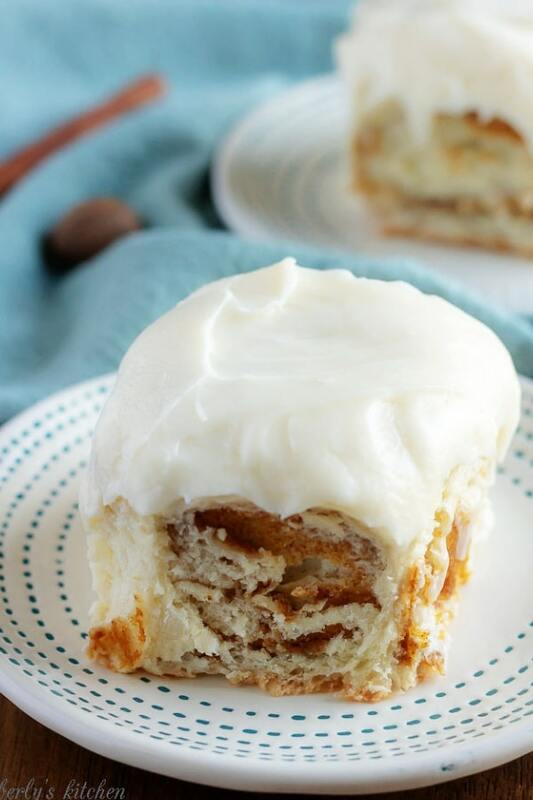 Pumpkin pie cinnamon rolls are delicious seasonal treat. They're loaded with a sweet pumpkin-infused filling and topped with a luscious maple frosting! First, in the bowl of a stand mixer, mix the flour, sugar, salt, and yeast until well combined. Start with less flour and add more as needed. Go ahead and pull the cream cheese and butter out of your fridge to soften. Next, use a separate microwave safe bowl to heat the water, milk, and butter until just warm (about 110-115 degrees). Add the liquid to the dry ingredients along with the egg. Then, use the dough hook to continue to mix the ingredients on low until a smooth, elastic dough forms. If the dough is sticky or tacky, add additional flour ¼ cup at a time until it pulls away from the sides of the bowl. Continue to mix for 5-6 minutes. Last, remove the dough from the bowl, and place onto a well-floured surface. 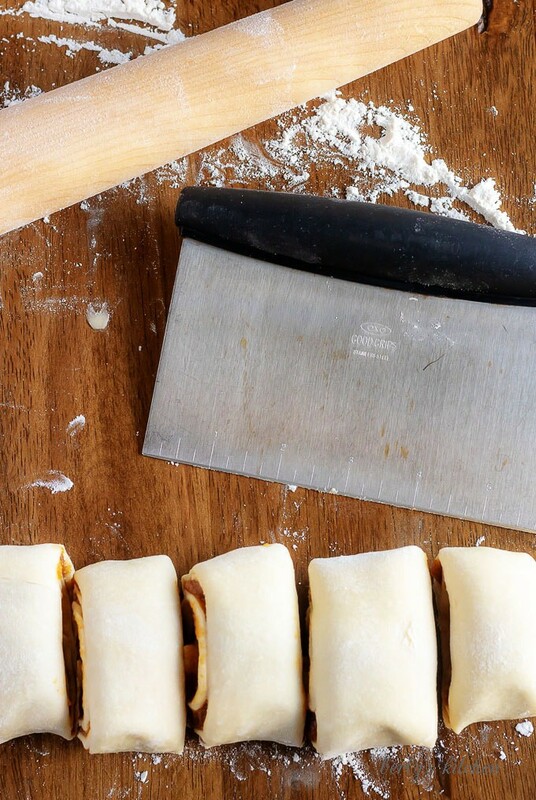 Use a rolling pin to roll the dough into a rectangle approximately 16 inches wide to 10 inches long. First, combine all the filling ingredients in a medium bowl, and stir to combine. Next, use a spoon or spatula to spread the filling onto the rectangular dough. After that, beginning with the long side of the rectangle, tightly roll the dough, so the pumpkin filling is on the inside. Now, cut the rolled dough into 12 even pieces. Once the rolls are cut, place the cinnamon rolls into a greased 9 x 13-inch baking dish. Afterwards, place rolls in a warm, draft-free place and allow to rise until doubled in size. While they rise, preheat oven to 350 degrees. Then, place rolls in the oven and bake for 25 minutes until golden brown. Last, remove from oven and cool completely before frosting. Next, pour the frosting over cooled cinnamon rolls. Finally, store cinnamon rolls in the refrigerator for 3-4 days. The calories listed are an approximation based on the ingredients and a serving size one 1 pumpkin pie cinnamon roll. Actual calories will vary. The rolls can be stored in your fridge in a sealed container for up to 3-days. Yum. Looks good. Any idea on how well they freeze? Being a single I do a lot of that! Wouldn’t want to pig out on the whole batch in one sitting!